Just a quick mention for another of those New Scientist CultureLab “Storytelling2.0” pieces; how about video games as a future venue for journalism? Take, for example, Burger Tycoon. It’s what we call an editorial game: short-form, quickly produced and easily accessed online. These games critique current events and issues – in this case global fast food. In Burger Tycoon, players take charge of every aspect of a fast food giant: they raise soy and cattle in South America, curtail contamination in a meat-packing plant, scold frustrated fry cooks in a restaurant and devise ad campaigns at corporate headquarters. Video games do not offer a panacea for news organisations. But they offer a truly new way for journalism to contribute to civic life by amplifying the how instead of the who. Video games offer models of how the world works and how it might be improved, rather than skin-deep stories about what ails it. That’s why the best journalism of the future might not be read, but played. Interesting idea… Jonathan, I think we have a theme for your next column! In a move that is somewhat unusual for a videogame column, I would like to ask you to consider not a game or a development in the gaming industry but a film… and not just any film, but an obscure art house film. 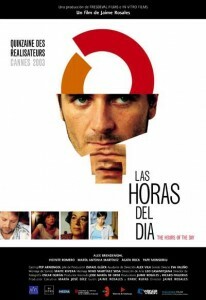 Jaime Rosales’ The Hours of the Day (2003) (a.k.a. Las Horas Del Dia) tells the story of Abel. Abel lives with his mother and operates a decidedly unglamorous clothing shop in a run-down part of town. He has a low-intensity relationship with his girlfriend who wants them to move in together, he has a passive-aggressive relationship with his shop assistant who wants more severance pay than Abel can afford and he has a rather tense friendship with another man who wants him to invest in a marketing project. If you were a game designer and you were taken into your boss’s office and given carte blanche to create your own roleplaying game, what would your influences be? My guess is that the games you see as central to the computer roleplaying experience vary according to your age and when you started gaming. For example, if you are currently a teenager then the chances are that you would be most influenced by games like World of Warcraft, Fallout 3 and Dragon Age: Origins, because these are the games that you are most familiar with. If you are a slightly older gamer, then you might list titles like Final Fantasy VII or Suikoden. 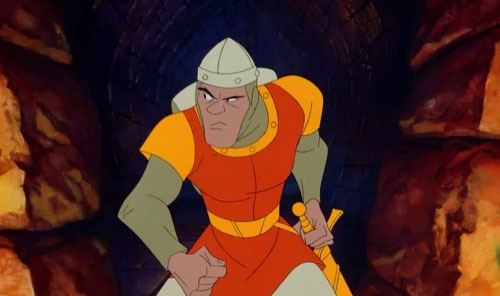 Maybe if – like me – you are one of those thirty-something gamers who spent his high school years playing video games instead of getting to second base, then you might list Baldur’s Gate, Dungeon Master or Shadowrun. Maybe you are even old enough to remember playing the original Wizardry and Bard’s Tale titles, and think that the future of CRPGs lies in ASCII graphics and getting the players to draw their own dungeon maps. Well, you’d all be wrong.